Create a fun, safe, and competitive environment for the youth of our community to play baseball in Lafayette and Erie Colorado. Develop the qualities of citizenship, discipline, character, and teamwork amongst the players. 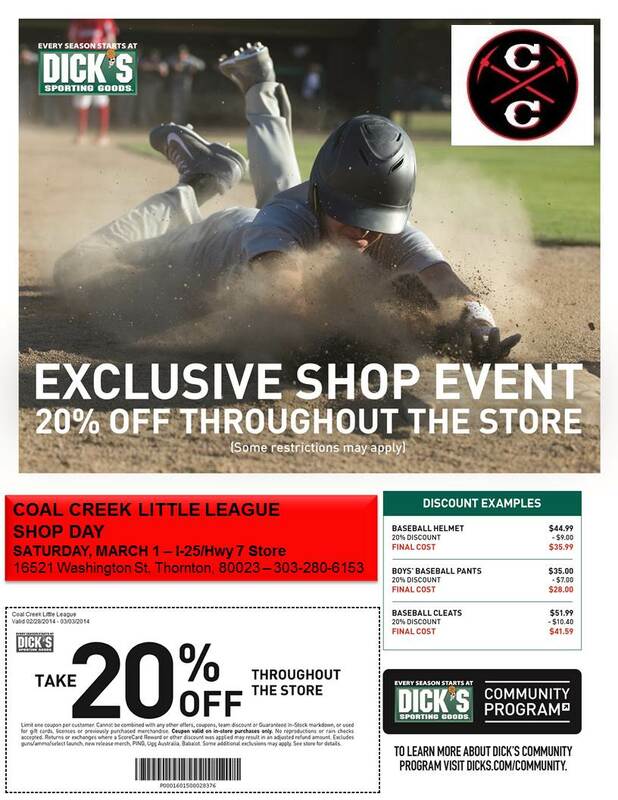 Save 20% throughout the store with a percentage of sales going to Coal Creek Little League. Download the flyer here. Use the team coupon offer below for an additional 10% off. Save an additional 10% on purchases using the coupons below (except on 3/1). These team coupons run through 8/31. Click on the banner below for coupons.